On October 28th 1927, The Italian ship 'Isabo' struck Scilly Rock in the late afternoon in thick fog and high seas. Matt Lethbridge Snr. coxswain of the St Marys lifeboat 'Elsie' put to sea but was beaten to the scene by the men of Bryher. By working together for most of the night, they were able to save 28 of the Isabo's 38 man crew. The Italian Government sent a representative to the Islands and he presented vellum scrolls to the men of Bryher who had assisted in the rescue. These were signed by 'Benito Mussolini' in his capacity as the minister for shipping. Bronze medals were presented to the crew of the lifeboat, the names of the recipients being engraved onto them along with the words, "Al Valore di Marina" (For bravery at sea) and the date of the rescue. About 4 years ago my Mother gave me with the medal that had been presented to my Grandfather, John Clare Jenkins. click on pictures for enlargement. 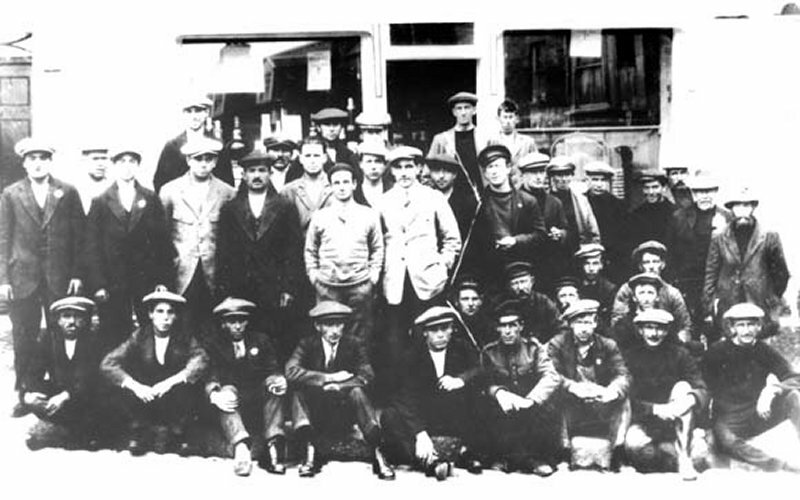 When the Isabo's crew were brought to St. Marys on the 'Elsie', one of the men had been so battered and bruised by his ordeal that it was thought that he was a black man. He was nursed back to health by my Great Grandmother, Janie Slaughter. When he had fully recovered, the crew of the Isabo went back to Italy and no more was seen or heard of any of them until 1969, when the man whom Gran had nursed made enquiries and found out that she was still alive. Although Gran was in her late 80's, he came back to the Islands for the first time in 42 years in order to publicly thank her. 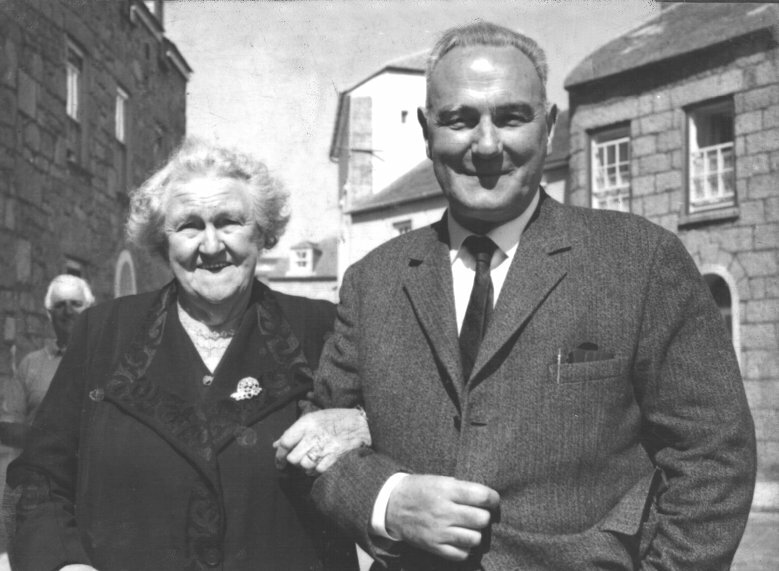 He took her out to dinner at 'Tregarthens hotel', after which they had their photo taken together outside of the Town Hall. Gran Janie with her 'young Italian' as she called him. Unfortunately, Gran died about 3 years later. below: Kindly sent in by Richard Pearce. Bronze medal with it! If your confused by the name "Moat" its my Grandmother's maiden name, hope it don't take too long to download. Vellum scroll presented to people who assisted in the rescue of the crew of the 'Isabo'. Note Mussolini's signature. This photo was kindly sent in by Sandra Kyne (nee Gibson) and shows the crew of the Isabo on the left and the men of Bryher on the right. The fella with the black seaman's cap tilted to one side, looks like it might be 'Bill Cameron'.